– An increase in the corporation annual business fee. Business license fee (BLF) will rise from $200 to $500 for corporations. Also, at present, list fees range from $125 to $11,100. The new tax package increases all fees in the schedule by $25. – An expanded payroll tax. The Modified Business Tax (MBT) will increase from 1.17 percent to 1.475 percent for most businesses. Mining companies will join financial institutions in paying the higher 2 percent tax rate. Also, the MBT base is broadened. – A higher cigarette tax. Cigarette taxes, currently set at 80 cents per pack, will rise markedly to $1.80 per pack under the new tax package. – A new Commerce Tax on the gross receipts of businesses with at least $4 million in revenues in Nevada. 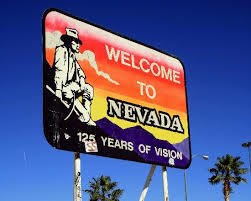 The new Commerce Tax divides Nevada’s economy into 26 business categories, each consisting of one or more industry classifications as delineated under the North American Industry Classification System (NAICS). Each business category is assigned its own gross receipts tax rate ranging from 0.051 percent to 0.331 percent. Businesses which do not fit into any other category are taxed at the 0.128 percent rate for unclassified businesses. – A permanent sales tax increases. The state’s 6.85 percent sales tax is actually composed of four taxes: the 2 percent state rate, a 2.6 percent Local School Support Tax, a 0.5 percent Basic City-County Relief Tax, and a 1.75 percent Supplemental City-County Relief Tax. The Local School Support Tax’s current rate is a temporary increase adopted in 2009, scheduled to sunset to 2.25 percent at the end of the current fiscal year. The newly adopted tax plan makes the current rate permanent.